Andrea Provaglio is a Strategic IT Professional, Agile Transformation Coach, Public Speaker, Consultant and Trainer. As an independent professional, he helps organizations to implement better ways of doing business with Information Technology (IT); and he coaches teams and individuals who want to improve technically, relationally and culturally. His main contribution is in assisting executives, leaders and managers, who appreciate the business advantage of effective knowledge work, to evolve their company and teams into healthier, more modern organizational and cultural models (which includes, but it's not limited to, Agile and Lean). 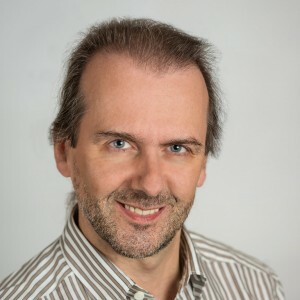 In over two decades of professional experience, Andrea had clients in three different continents and he worked with a wide range of companies and organizations, both in the private and in the public sector, ranging from the United Nations and large multinationals to small and dynamic IT companies. Understanding and managing the way expectations are generated is a critical skill if you care for happy stakeholders (from end users to investors to technical teams) and you want increase the chances of success of your projects, on many different levels. In fact, having guided quite a few Agile and Lean adoptions as part of my professional career, I came to realize how one of the major sources of resistance, as well as of failure, are misplaced or unrealistic expectations. Among these, the most dangerous and the harder to change are those about the business and organizational dynamics of software development itself. Of course, challenging one’s expectations is something to be expected (pun intended) but that’s easier said than done, especially when the expectations are our own. In this interactive session, which includes some activity for the audience, we’ll explore what “expectations” really means and we are part of their creation. We’ll also how to bring more to the surface hidden expectations and how to suggest better alternatives.